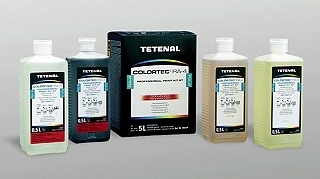 Tetenal RA-4 Color Paper Processing Kit consists of color developer and bleach fix for processing or RA-4 paper in table top roller transport machines at 35C/38C. This kit is odorless and the working solution has a shelf life of approximately 8 weeks. Easy mixing due to equal part quantities.